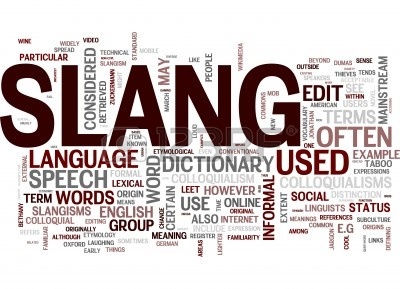 SLANG – Let me just clarrify here that am not talking about any “Slangen” snake here , it’s whole about the latest language in market <i mean to say internet> , and the most catchy amoung the online geeks. INCYDK (In case you don’t know) slang is most inovative and Creative language ever created. SNH (Sarcasm noted here) . It’s most of the usage is confined to IM groups , SMS, wats app, facebook and so on to ABL (A big list). How showking the day was for me when my girlfriend just said me “K3U” (I ❤ U ) (I Love you) and was waiting for my response and i was like KAY (okay). I was wonderinng if there will be a time when there will be a subject on slang and it will be accepted as a informal language around the world. A blogger , may belong to any field have a lot of thoughts which always runs in his mind while he writes a post , may be he call himself a freelance blogger who don’t care what he is writing , what he is sharing but the truth lies is that until his creation got published and until he got his desired feedback a situation of dilemma always crawls inside his mind. P.S. : Disclaimer :These are my personnel views no need to be Sentimental – if u are frustrated reading this , take help of cross button in top right corner of your window!! The anxiety of post completeness , the wait for that first comment , the feeling of someone’s appraisal each and every thing is just a desire for him and while writing sometimes that even reflects in his words. But for him it is his best may it depends on his audience how they get it , how it is portrayed and how it falls on them but for him that is his everything and views of his readers are his award in his race with his thoughts. but presentation is more important than the stuff..but but hey….hey…hey stop it don’t click on publish i want to write more…….. !!! My alarm tone (Not as we by Alanis Morissette) began to echo the room as clock turned to 5 in the morning. I’m a morning person and I feel proud about it! I love to wake up early, partly also because I love that vivid silence in the morning hours. Let it be silence in the real world where everyone finds coziness in their blankets or the silence in virtual world where I get some alone time to answer all my pending mails of the previous day or to interact with my early bird friends. I was a little reluctant to wake up (trust me, that rarely happens). As if my soul knew that today was going to a difficult, a different day. And indeed, it was. Every morning after waking up and before coming into my full consciousness, there are these little moments in time, fragments of space. Before reality strikes in, before I realize where my life is leading itself. There is that duration of 10 seconds, when everything is at its perfection. When no one has left anyone, no one has walked out of anyone’s life, when no one is dead. When I’m content and surrounded by positivity. But soon, the span of those 10 seconds collides with reality and all the facts come crawling back into my bed. That makes me sad, that makes me unwilling to go and carry on the entire day with a smile on my face. That makes me angry. I look at my uncharged phone, and that makes me angry. I look at my schedule of the day, and that makes me angry. I open my door, and the sound of it makes me angry too. I turn on the lights, and that makes me angry too. I travel, and the traffic with all those noises makes me angry. I walk around the hallways of this place, like I have been walking everyday from past 3 years, and that makes me angry. I interact with morons and lunatics, and that makes me angry. I feel like I’m stuck, between the axis of space and time – I feel like I’m that static co-ordinate that has been at its place since forever; And that makes me angry. The anger reciprocates with every second and with every thought. I assume that the anger must have reached at its saturation today, as I somehow realized that I’ve been angry from a very long time now. There comes a time in our lives when we come to this conclusion that the life given to us in not what we deserve. I have always known this fact deep down in my mind that I deserved more than the life given to me and I should make an effort to change it. At night, I sat down in the middle of the fractured atmosphere to gaze the stars above. While I was trying to figure out the shape of some strange anonymous constellation, the flashbacks of my life started running at the skyline, like an animated movie. My imagination met with my memories. I just sat there, while enjoying the view and thought….thought about almost everything and anything in my life. I thought about almost every significant or insignificant person in my life. In the end, I came up with many conclusions. A person doesn’t get enlightened in a day, but a day is more than enough to change the perception of one’s about his/her life. Life is not a series of events which happen during the course of our existence in this world. Life is not something that can be transferred, and certainly not something which cannot be understood. Life is something which you define for yourself. There is no constant or universal definition of life. You live your life and I live mine. You can not define or judge my life, and neither can I do with yours. Life is simple; it is we who makes it so complicated. We all have loved and lost. There are people I know who regret losing their loved ones to the finality of death, and I know many who have lost the people they loved deeply because of some other causes. Whatever the reason is, losing someone who is so near to you hurts. It hurts our soul, because when we love someone truly and deeply, then they become a part of us and when we lose them, we also lose that part of us with them. That fragment of ours never comes back and then we begin to feel incomplete. What I say is that there is no shame in holding a broken heart. A broken heart is a symbol of passion; it means that you tried for something. But holding on to a person who has left you, is also impractical because sometimes, in the process of holding onto someone else’s memory and life, we end up losing ourselves to this world. And when that happens, when we lose ourselves in the process on holding someone else – then everything else disappears and our life turns to a dead-end. We should remember that everyone enters our life because of a reason. Not everyone can be your soul mate. People come for a reason and when their work is fulfilled, they silently leave out of your life. It doesn’t mean that they are good or bad, it just means that their role in your life is over and you should also move on with yours. Everyone writes their own fate, we are all the creator of our destiny and we are the in-charge of ourselves. We do not own the life of anyone else. So, when their work is done, why do we say that they have left us? For the fact is that, we never really had them entirely on the first place. Nobody loses anyone, because nobody owns anyone. We all are the writers of our lives and when we begin to write on a different book, it doesn’t mean that we own that book or that chapter. It just means that we have to play a part in the writing of that book. When our part is over, then the book would be passed to someone else to write their story. We never had that book entirely to ourselves on the first place. We never own anyone’s life to us in this world and that is why we never lose anyone to this world. I have heard a lot of people saying that they have lost themselves to this world and they can’t find their soul back. I agree to it, because I have gone through something similar myself. The easier it is to lose yourself, the harder it is to find your lost soul again. But ironically, the best way to find you is by first losing yourself to this world. There have been times, when we feel that we are like the blank space between two words, which has no meaning of its own. Sometimes, we feel insignificant. But humans have been created to face all the obstacles that their life has to offer, so that it can bring out the best in us. Before going to bed tonight, I look at myself and then I look at the rest of the world and I wonder why this world was even created at the first place. Though there has been a lot to wonder, but what I know for sure is that no wound, no fracture in our soul is so strong that it cannot be healed with love. People say that time heals every wound, but I do not think so. Time doesn’t heal anything, though it makes us stronger or sometimes distracts us with other things in our lives. If you keep a wound in your life as it is and will allow time to make it better, then it won’t work, because time doesn’t heal a wound – Love does. When you start to love yourself and your life, then every wound and every fracture inside your soul gets healed, if only you will allow it to. If only, you will say “yes” to love and to life. So, say “yes” – to all the possibilities that life has to offer, and never regret any person or any moment in your life. Because at the end of it all, you only get one life to live and thus only one life to love! life a lap or the loop?? and i am waiting for an inception. or we both are running towards each other. life is ignoring me or i am just consoling me i am busy..
where breathe is my curse…. ah! !am not made to run..i am not a racer. i was just choosed to be a part. i have questioned may times..
and just a thing in our mind we are enjoying life..WHATEVER IT MAY BE?? Love At First Site – THE END!! Being covered among the so called weighted words and the damn quotes really impress everyone and that too me. whenever i hear a quote , i always think not what it means but How the thing came to that person’s mind and not mine..really he must be lucky else my name would be among some golden books. Well why am i discussing what you don’t want to , the reason is my recent accident with a kinda interesting statement, calling it just a phrase may be its insult so using some prefixes the most amazing , magical , popular , blushing that was for girls >> statement “Love At First Sight”…huh..total KUDOS..!! THE BELOW ARTICLE CAN ERASE THE WORD LOVE FROM YOUR DICTIONARY OF HEART SO THE ONE FOR WHICH IT IS VERY IMPORTANT DON’T READ IT BELOW. But it is really a crap part love is something like a substitute of bla bla bla…totally vain stuff. And the answer was “bla bla bla……..and the most important i will make girlfriend this year and consistently make another three in next three years respectively”, well with the point of engineering and considering it the answer of an engineer not really bad as the answer was full of hope (at least). But really it is something like love is just a part of pride and not bad too ,saying a boy having a girlfriend has more value in his college than the one who tops it. Love is now a days the booming topic for the stand up comedians not because its funny ((don’t exclaim!!)) , but it is a universal accepted truth. are going to have a brief discussion on the most lovable gift of god i.e. LOVE. Got this article from a blog was quite surprised how i got so late reading this great article by Nitin Gupta(Rivaldo), of whom i am a big fan from my early days.It is really excellent and so thought to share it with you too..
DISCLAIMER: I DON’T ENDORSE ANY POLITICAL PARTY. NOR DO I ENDORSE ANY OF WHAT MAYAWATI IS DOING. I WAS JUST TAKEN ABACK BY RAHUL GANDHI’S HYPOCRITICAL COMMENT AT THE RECENT FARMER AGITATION IN UTTAR PRADESH. Rahul Gandhi: “I feel ashamed to call myself an INDIAN after seeing what has happened here in UP”. The Reason Mulayam Singh, subsequently came to Power is because your party wasn’t exactly Gandhian in their dealings in the State.. So May be If you look at in totality the present chaos in UP is the outcome of the glorious leadership displayed by Congress in UP for about 50 years! So Please don’t feel ashamed as yet Dear Rahul.. For Mayawati is only using the Land Acquisition Bill which your party had itself used to LOOT the Farmers many times in the Past! WHY DIDN’T YOUR PARTY CHANGE THE BILL WHEN IT WAS IN POWER FOR SO LONG? First Ask Pranav Mukherjee, Why isn’t he giving the details of the account holders in the Swiss Banks. Ask Praful Patel what he did to the Indian Airlines? Why did Air India let go of the Profitable Routes? What about the ones close to you? For their contribution to the Nation’s Misery is beyond comparison. Your Party gave those Farmers a 72,000 Crore Loan Waiver. Which didn’t even reach the Farmers by the way. So, Why don’t you focus on implementing the policies which your govt. has undertaken, instead of earning brownie points by trying to manufacture consent by bombarding us with pictures of having food with Poor Villagers…. You were carrrying with you $ 1,60,000 in Cash ( Similar to the Arrest of Rahet Fateh Ali Khan recently, because you han’t decared that Amount) . US allowed $ 10,000 cash at Immigration. He was later freed on the intervention of the then Prime Minister Mr.Vajpayee.. FBI filed an equivalent of an FIR in US and released him. When FBI was asked to divulge the information for the reasons Rahul was arrested by Right/Freedom to Information Activists… FBI asked for a NO OBJECTION CERTIFICATE from Rahul Gandhi. Why did that arrest not make Headlines Rahul? You could have gone to the Media and told, “I am ashamed to call myself an INDIAN?”. Because it so happens RAHET FATEH ALI KHAN’S recent arrest was Splashed in the Media and Your arrest in 2001 hardly got a MENTION.. YOUR MOTHER’S SO CALLED SACRIFICE OF GIVING UP PRIME MINISTER SHIP in 2004. Now Since you can’t become a PM in Italy, Unless you are born there. Likewise an Italian Citizen can’t become Indian PM, unless He/She is not born here! PRESIDENT OF INDIA sent a letter to Sonia Gandhi to this effect, the day she was about to get sworn in 2004. So She didn’t make any Sacrifice, It so happens that SONIA GANDHI couldn’t have become the PM of INDIA that time. You could be Ashamed about that Dear Rahul!! Some Accounts say, You had to Drop out because of Rajiv Ji’s Assasination. Sonia Gandhi didn’t even pass High School. Contrast that with Gandhi Ji , who went to South Africa, Became a Barrister, on Merit, Left all that to work for South Africa, then for the Country…. Not that Education is a Prerequisite for being a great Leader, but then you shouldn’t have lied about your qualifications! And you won a Youth Icon!! … That’s why You are my Youth Icon. For 25 Million People travel by train every day. You are the First Person to win a Youth Icon for boarding a Train. You were neither Young Nor Iconic. Shakespeare said, what’s in a Name? Little did he knew, it’s all in the Name, Especially the Surname! But you don’t seem to use Gandhi except when you are fighting Elections. (There it makes complete sense). Imagine fighting by the Name Raul Vinci…Even Leonardo Da Vinci couldn’t win an Election in India with that Name!! It feels sadly Ironic, Gandhi Ji, who inspired Icons like Nelson Mandela ,Martin Luther King Jr. and John Lennon, across the world, Couldn’t inspire members of his party/ Nehru’s Family, who only seem to use his Surname for the purposes of FIGHTING ELECTIONS and conveniently use a different name on their PASSPORT. Because you haven’t joined politics. You have joined a Family Business. Also till then, Please don’t give me examples of Sachin Pilot and Milind Deora and Naveen Jindal as youth who have joined Politics..
WHY WE CAN’T JOIN POLITICS! Rahul Baba, Please understand, Your Father had a lot of money in your Family account (in Swiss Bank) when he died. So Rahul, Please don’t mind If the Youth doesn’t Join Politics. We are doing our best to fund your Election Campaigns and your Chopper Trips to the Villages. Feel Ashamed for what you ‘ SO CALLED GANDHI’S’ have done to Mahatma’s Legacy.. Meanwhile, I would request Sonia Gandhi to change her name to $ONIA GANDHI, and you could replace the ‘R’ in RAHUL/RAUL by the New Rupee Symbol!!! RAUL VINCI: I am ashamed to call myself an Indian. My Guess is Social Media is still a Democratic Platform. Let’s ask these questions, for we deserve some Answers. For we are all Gandhi’s. For he is the Father of the Nation. India ,celebrating its 62nd Republic Day,making us proud how strong ,how invariant our nation India is!! 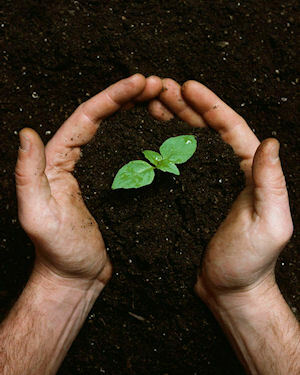 Every year new advancements,developments may be in technologies ,infrastructure or in relations ,there is drastic upsurge seen from all parts of India. But still something is missing,the upcoming generation is not in the mood to grasp the indian culture,a best amoung the whole world but are running towards the attractive one. Just today i.e 26 January 2011,when i was checking my facebook account..i saw many of the people have wished for happy Independence Day…i don’t know what was that…was it a mistake or they just forget about it,nor i wanna to point out someone by saying so but i think still something is marking its absence.People have no any interest in whats going on in nations belief.They have no interest in political affairs and for them the old Indian culture is very old..no one just wanna be engaged to that. Yes i believe that being cool and jolly is the need of today’s lifestyle but it doesn’t claims you to sacrifice your culture for it.May be our livelihood have been a slave of the modern living and western culture but then too it is a unique among the whole world. May people believe that the changing fashions,lifestyles are the results of the western mix up in our culture or we can say the overpowering nature of it.But i believe the culture should stay in our mind that’s only the need of time ,it should flow in our blood ,in our heart. Ya there is something that is missing may be thats culture ,our beliefs and all that which are the gifts of our ancestors but the need is to fill that gap before its too late. Well i don’t know exactly what was the date,but the day was very beautiful.Sun was on his laughter and was trying to tease me in my eyes.I was again packing my stuffs and begin to move for the thing i always to be proud of..ya that’s obviously the thing that makes me prior in front of my other friends…hmmmm wanna know…ahem ahem..that’s the royal engineering,i know what u wanna say…thank you for that. Hey so i was about to reach..ya ya to my college.But other than all ,with everything in my mind,there was something which was the most lovable for me…and i don’t think you need the specifications as you all guys must have yours…..!!!!! Yes that was my first love….she was very beautiful,very slim and trim,very attractive and what all I can say…she was gorgeous.All of my friends used to pray that they also have such a luck to find the same among a lot in the crowd. I always believe her,trust her…and i love her soooo much.But the fate was not in my hand….and the day come which was totally unexpected,unbelievable…!!!!! It was just a simple day.Sun was on its peak….and environment was very pleasant…we both were on the road,i was just holding her very close to my heart,and was feeling the best hours of my life…but at a sudden everything got changed.The scenario changed suddenly and it started raining….i was totally shocked,and at that time the thing that was rolling in my mind was her safety…but no, god was planning anything else in his mind. Situation just gone from bad to worse…it started flooding…water was all over…we both were holding each other and i was praying god to please keep her safe. And the next moment…the moment which changed my whole life,the most cruel moment of my life..yes which made us separate forever was on his upsurge. Suddenly i found she was not with me..i was totally scared…i was cursing myself..”How can i be so irresponsible? ?”..but the next moment i saw something…ya that was her..i tried to catch..but water flow was enormous.I was helpless,i was just crying..no one was there to help me…i saw her the last time..i don’t know what happen to her then but i was totally disappointed. All my friends consoled me…but i was shocked.I just remembered her…but soon my days come back…one of friend understand my pain and he give me what i want…YES HE BOUGHT FOR ME A BRAND NEW PARKER PEN….I got her again my parker pen…i got her again…thank you god you gave me my LOVE again!!!!! From the day neighbours started noticing me with a lill respect in their eyes…. i realized engineering has started. From the day i left full day mugging in books…. heard about chetan bhagat and anjelina jolie…. From the day i started playing counter strike…. the day i started giving attention to my looks….